There appears to be a growing appetite among teachers for brain-based findings to guide their work in the classroom: a 2014 survey by the Wellcome Trust found that 91 per cent of teachers have used their understanding of neuroscience to inform at least one aspect of teaching and learning (Simmonds, 2014). Help is at hand thanks to the emergence of the interdisciplinary field of educational neuroscience. This developing enterprise encompasses all scientific areas of research that can contribute to education, including developmental psychology, cognitive neuroscience, genetics and technology. Educational neuroscience is a highly collaborative pursuit, not only through the convergence of these traditionally independent fields: educators themselves engage closely with the research, enabling a more achievable end goal of rigorously scientific, and translatable findings that can enhance learning. Yet despite these laudable aims, there are some notable criticisms of the field. Here I will examine the present state of research, address some key concerns, and argue that educational neuroscience is a worthwhile pursuit with real potential to improve learning. Neuroimaging lends itself very well to educational neuroscience and is commonly used, as it allows for insights into how we reason and learn. Let’s take an example. A traditional view of learning holds that when we learn something new about how the world works, we replace our old, inaccurate or simplified knowledge. For example, as a child, you see the sun ‘rise’ and ‘set’ everyday, so likely conclude that the sun goes round the earth. At school, you’re taught that actually, the earth goes round the sun. According to the traditional view, you replace your old, naive knowledge about the relationship between the sun and the earth in favour of your taught knowledge. More recently, psychologists have theorised that in fact this old knowledge never really goes away, and inhibitory control is employed to suppress it, in order to use the correct knowledge. While behavioural evidence supported this ‘inhibitory control’ explanation (e.g. Houdé, 2000), the advent of neuroimaging has allowed neuroscientists to test this theory of learning more directly. Functional magnetic resonance imaging (fMRI) shows that areas of the brain associated with inhibitory control are active when reaching a correct answer (Masson et al., 2014). Further research is ongoing in this area, including studies to test whether training inhibitory control within a subject domain can lead to improved performance in that subject. In this way, neuroimaging can give further credence to our theories of learning, and allow us to design classroom interventions based on firm scientific foundations. Educational neuroscience can also bust ‘neuromyths’, brain-based theories of learning for which there is no evidence (Dekker et al., 2012). Perhaps driven by the fact that neuroscientific results are more persuasive to non-experts than psychological results (Munro & Munro, 2014), neuromyths may appear to provide a quick and easy way to improve learning. The Wellcome Trust survey of teachers found that the most prevalent neuromyth among teachers was the notion of different learning styles (Simmonds, 2014); for example, the idea that ‘visual learners’ learn better when information is presented visually. While it may be true that individuals have preferences, there is no evidence that presenting information in a preferred style improves learning (Krätzig & Arbuthnott, 2006). A concerning outcome of this neuromyth is that teaching according to this theory may in fact have a negative impact on learning: learners may miss out on information that is better learnt another way, and non-preferred styles may not get the chance to develop. More than three quarters of teachers said they used this method to inform their teaching (Simmonds, 2014), highlighting the necessity of engagement between teachers and researchers. Scientists in the field not only share their new findings, but aim to filter out unfounded neuroscientific claims. The relationship between genetics and education is increasingly studied, with new implications for teaching and learning. The Twins Early Development Study investigated the genetic component of educational attainment at age 16. GCSE results had 62 per cent heritability, and intelligence, along with other psychological factors, accounted for 75 per cent of the heritability of GCSEs (Krapohl et al., 2014). a criticism sometimes levelled at educational neuroscience. Rather it allows for an increasingly personalised approach in providing the level of educational support that each child needs. Indeed the book G is for Genes (Asbury & Plomin, 2013) provides 11 genetics-based policy recommendations for education, many of which emphasise pupil heterogeneity and encourage equality through helping those most in need. The area of genetics and education is a particularly controversial one, with the potential for misunderstanding and misuse. As we continue to discover more about the influence of genes on learning and attainment, the need for public-facing expert scientists is amplified. The complexity of genetics and heritability is evidenced by recent debates born from confusion over the difference between heritability and the effect of specific genes (Ritchie, 2015). Here we are faced with two divergent dangers: rejecting all genetic research as fatalistic and unhelpful, or accepting genetic findings fatalistically and forgetting the importance of environmental factors. Educational neuroscience’s aim to engage with all stakeholders is especially important for complex research that requires nuanced explanations of findings and implications. As indicated by the Wellcome Trust survey, teachers are keen to use neuroscience. Yet some scientists have argued that the integration of neuroscience into education is not worthwhile. The concerns surrounding educational neuroscience fall roughly into two camps (Varma et al., 2008): scientific concerns regarding methods and theory, and pragmatic concerns that address practicalities and cost–benefit ratios. 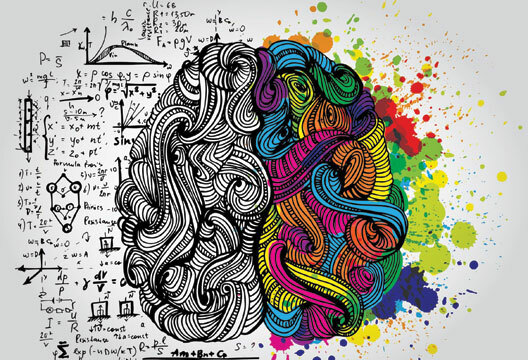 Early arguments against educational neuroscience as an endeavour fell into the former category and focused on the disparate nature of education and neuroscience. The amalgamation of the two subjects was famously labelled ‘a bridge too far’ by Bruer in 1997. The use of neuroscience in an education setting was considered speculative, and not worthy of pursuing. This view was largely based on the assumption that the only relevance of neuroscience to education was in the fields of synaptogenesis and critical periods, with much of the evidence taken from animal research. Bruer (1997) suggested that the link between the two was only to be found in cognitive psychology – the firm ground in which to anchor education and neuroscience. In reality, educational neuroscience does not attempt to link the minutiae of neural mechanisms directly to the classroom, and does indeed incorporate cognitive psychology. Educational neuroscientists argue that all levels of explanation should be considered holistically and as interacting, from the social level down to the genetic. While Bruer’s argument may have held some truth in 1997, it is incompatible with today’s research landscape (which considers all levels of description). More recently, pragmatic criticisms have emerged, relating to the cost–benefit ratio of educational neuroscience research. Most notably, Dorothy Bishop wrote in 2014 that a principal concern is that costly neuroimaging aims simply to identify brain areas associated with cognitive abilities, which is not helpful in informing education. Given that MRI costs hundreds of pounds per scan, Bishop argued that the payoff for such work is not great enough. Most would agree that costly research should only be carried out if there are potential positive outcomes, but highly positive and beneficial outcomes in this field are possible. First, discovering neural correlates in their own right through basic science research helps to build the foundations for future applied research. Indeed, academics in other disciplines argue that there is no distinction between basic and applied research, since the entire research endeavour is a social investment (Lander, 2015). Second, as described in the fMRI example above, an understanding of neural mechanisms can help us identify likely candidates for effective training programmes. Third, if an intervention is known to work, an understanding of the underlying neural mechanisms may help us to understand why it works, and to improve it further. Finally, at a recent seminar on cognitive training in children, Klingberg argued that brain scans are close to being able to provide as much explanatory power in terms of an individual child’s needs as a psychological assessment. While neuroimaging is costly, the price of sending a child to have a psychological assessment is also high, and neuroimaging may take a fraction of the time. The use of neuroimaging may prove helpful and efficient compared with alternative behavioural assessments. The criticisms of educational neuroscience have encouraged researchers to crystallise the aims of the field and to carefully consider how their research should progress. Key priorities are to work across disciplines, to collaborate closely with educators, to provide relevant research, and to feed findings back to teachers. This collaborative approach leaves open the possibility for innovation (Varma et al., 2008); an exciting prospect for those working in the field. Sharing insights and methods from traditionally separate disciplines has the potential to move the field forward in unforeseen directions. While the notion of educational neuroscience may be convincing in theory, the reality of teachers incorporating scientific findings into the classroom raises practical considerations. A key concern is that teachers with a range of backgrounds may not be equipped with the skills or time necessary to interpret the scientific evidence. Fifteen years ago, policy guidelines recommended that the developmental science of childhood and adolescence should form a fundamental component of teacher training (Leibbrand & Watson, 2001) – a recommendation that has yet to be adopted. Although this would undoubtedly be an excellent start, the time and cost of keeping up to date with findings post–teacher training would be prohibitive for teachers who have notoriously long and increasingly bureaucratic workdays. At the school level, a staff member in a leadership role could act as the nexus between scientists and teaching staff, communicating with scientists and passing relevant information on to colleagues. Taking a wider perspective, research findings would ideally influence policy and filter down to school practice, and policy would encourage these collaborations between schools and researchers. A new initiative called the Evidence Information Service (EIS) aims to facilitate dialogue between scientists and parliamentarians (Lawrence et al., 2016). This will hopefully increase evidence for policy decisions in the near future, including education policy. Since these are more long-term goals, researchers must work hard now to forge relationships directly with schools. One of the problems that educational neuroscience faces is its status as a multidisciplinary subject. Although interdisciplinarity is increasingly encouraged in academia, often this is not borne out in reward structures. Funding is notoriously difficult to secure for interdisciplinary projects, and submitting such work to the Research Excellence Framework was problematic as it did not fit neatly into one category (Byrne, 2014). Unfortunately, systems in the current academic structure are likely to be a further barrier to high-quality educational neuroscience research. with the genetic recommendations for education, with greater understanding we can better tailor individual learning plans. More importantly, the debate for what we do with data once we have it is one for society as a whole, not just scientists. It is clear that teachers have an interest in neuroscience and want to use it to inform their practices. Concerningly, 75 per cent of teachers surveyed by the Wellcome Trust had no outside support when using neuroscience in the classroom (Simmonds, 2014). Researchers, typically funded by the taxpayer, have a duty to engage with teachers, and to provide ongoing support in interpreting findings. This is particularly apparent in light of the ever-increasing requirement for research impact. Findings can be complicated and require detailed explanations with caveats; scientists have a responsibility to disseminate research without hyperbole. As a young enterprise, educational neuroscience cannot yet offer teachers the quick and easy solutions that are often promised by the media or predatory marketers of new education products. This is possibly the most important thing that teachers can learn from educational neuroscience at the moment: there is no silver bullet, and in order to find the best pedagogical practices we must work collaboratively and wait to see what our findings offer. Good research takes time and requires close investigation of interacting levels of description. Finally, educators are not the only ones to benefit from this collaboration. Researchers can gain a huge amount in return. Teachers may know what the most important research questions are, based on their experiences in the classroom. They may be able to provide resources that can be used in research, such as exam questions. They will be able to tell researchers how relevant their work really is for education. Good relationships with schools can also enable easy access to research participants, where recruitment is typically hugely time-consuming. Educational neuroscience is not a one-way conversation where scientists impart their knowledge to educators. It is a dialogue and collaboration with the ultimate goal of enhancing learning for all individuals. Asbury, K. & Plomin, R. (2014). G is for genes. Chichester: Wiley. Bishop, D. (2014, 25 January). What is educational neuroscience? [Blog post]. Bruer, J.T. (1997). Education and the brain: A bridge too far. Educational Researcher, 26(8), 4–16. Byrne, S. (2014, February 19). Interdisciplinary research: Why it’s seen as a risky route. The Guardian. Cohen Kadosh, R., Levy, N., O’Shea, J. et al. (2012). The neuroethics of non-invasive brain stimulation. Current Biology, 22(4), R108–R111. Dekker, S., Lee, N.C., Howard-Jones, P. & Jolles, J. (2012). Neuromyths in education: Prevalence and predictors of misconceptions among teachers. Frontiers in Psychology, 3, 1–8. Houdé, O. (2000). Inhibition and cognitive development: Object, number, categorization, and reasoning. Cognitive Development, 15, 63–73. Krapohl, E., Rimfeld, K., Shakeshaft, N. G. et al. (2014). The high heritability of educational achievement reflects many genetically influenced traits, not just intelligence. Proceedings of the National Academy of Sciences of the United States of America, 111(42), 15273–15278. Krätzig, G.P. & Arbuthnott, K.D. (2006). Perceptual learning style and learning proficiency: A test of the hypothesis. Journal of Educational Psychology, 98(1), 238–246. Lander, E. (2015, May 14). Why basic research is important – Numberphile . Leibbrand, J.A. & Watson, B.H. (2001). The road less traveled: How the developmental sciences can prepare educators to improve student achievement. Washington, DC: National Council for Accreditation of Teacher Education. Masson, S., Potvin, P., Riopel, M. & Foisy, L-M.B. (2014). Differences in brain activation between novices and experts in science during a task involving a common misconception in electricity. Mind, Brain, and Education, 8(1), 44–55. Ritchie, S.J. (2015). Jump the gun and you will be shot down. The Psychologist. Varma, S., McCandliss, B.D. & Schwartz, D.L. (2008). Scientific and pragmatic challenges for bridging education and neuroscience. Educational Researcher, 37(3), 140–152.